The clocks went forward by an hour this morning and so the sun rise was at 6:39 this Easter Sunday morning. 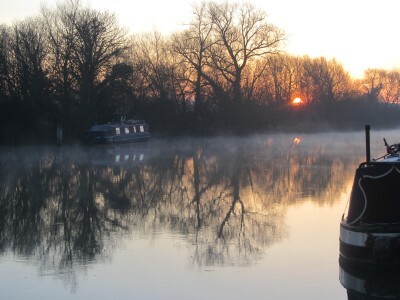 The picture was taken just upstream from Abingdon Lock. 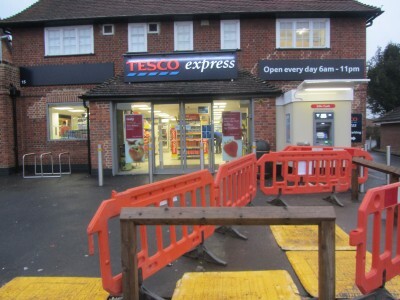 There was a frost and puddles were icy. 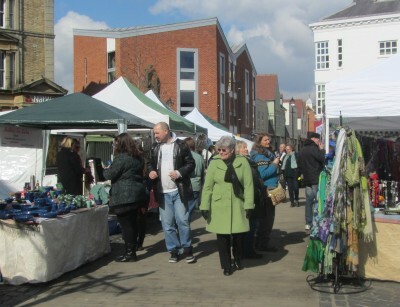 The Local Excellence Market, organised by the Choose Abingdon partnership, began in September 2010 as a response to local people wanting a Saturday Market. Each time it has a different mix. 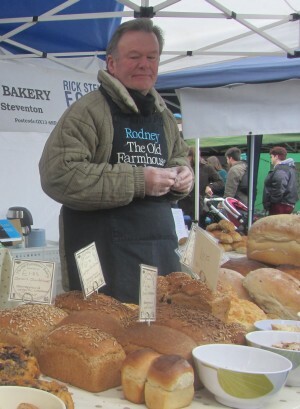 On this chilly but at times sunny Easter Saturday, some stalls were of the sort you might see on the Friday Farmers Market. 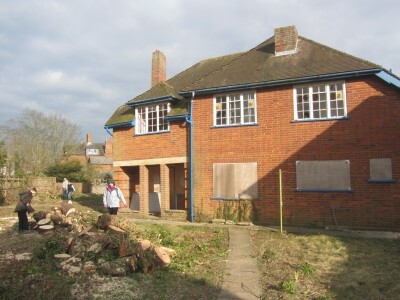 Pictured above is the Old Farmhouse Bakery. from Steventon. Then there are local organisations. 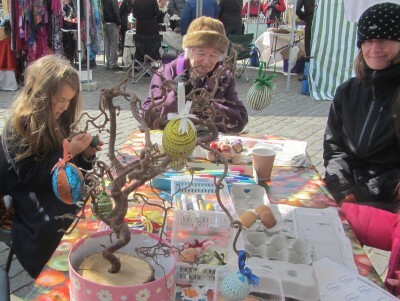 The Abingdon Carbon Cutters had a egg painting stall. 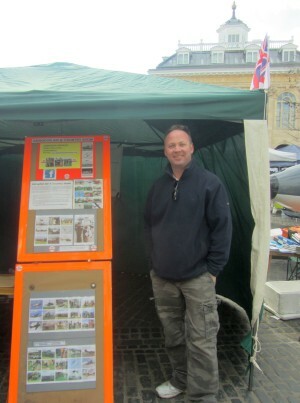 Neil, who organises the Abingdon Air and Country Show was there with a flight simulator and information about the show on May 5th. 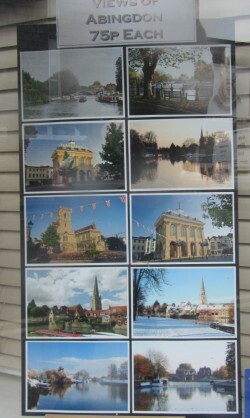 The Abingdon Freewheelers were also there. 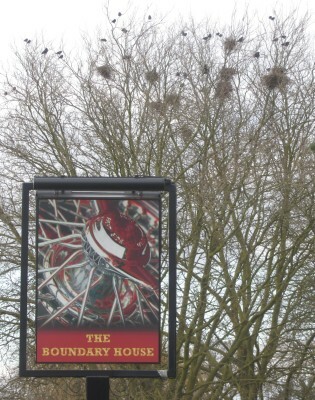 The Spring Cycle Festival is on 21st April. More pictures of the Market on the blog’s facebook page. 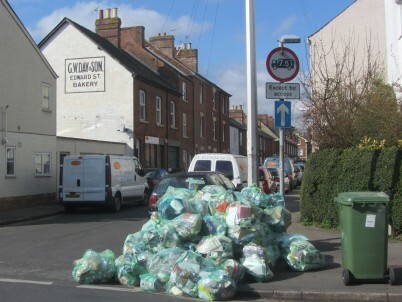 Due to Good Friday being a public holiday, the weekly recycle collection this week was on Saturday in areas to the south of Abingdon, including Edward Street – a long terraced street near the Albert Park where a recycle lorry cannot get between the parked cars, and where houses have no room for wheelie bins. 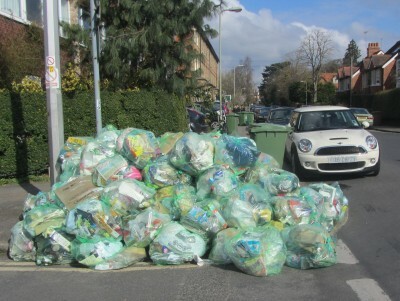 As a consequence the recycle lorry out-runners gathered all the green bags into a large mound a few minutes before the lorry arrived. 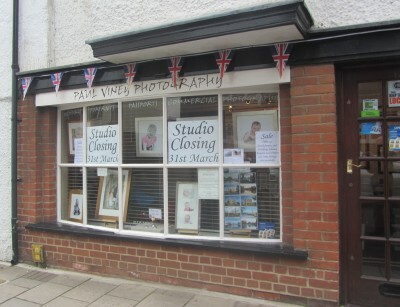 Paul Viney’s studio in West St Helen Street is closing at the end of the month. It has been there since it took over from the barbers that used to be there, called In Trim, about twelve years ago. 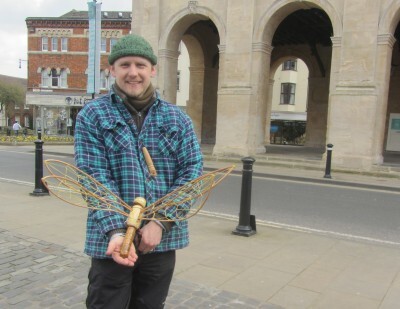 As well as weddings, and studio portraits, Paul is often to be seen at town events taking pictures so must have quite a collection of Abingdon life.